What is a characteristic of the distribution layer in the three layer hierarchical model? What routing table entry has a next hop address associated with a destination network? 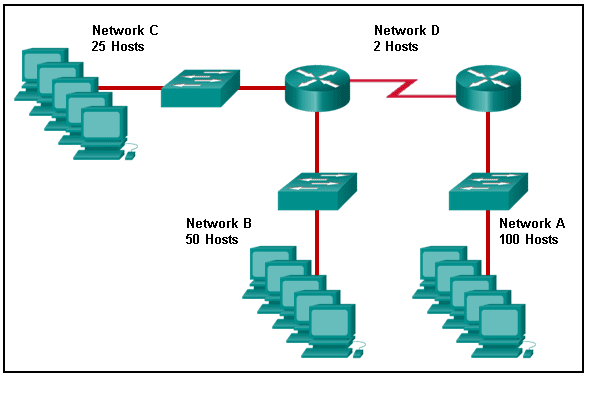 Which type of inter-VLAN communication design requires the configuration of multiple subinterfaces? RAM is volatile and stores the IP routing table. ROM is nonvolatile and contains basic diagnostic software. What does the IP address 192.168.1.15/29 represent? An organization is assigned an IPv6 address block of 2001:db8:0:ca00::/56. How many subnets can be created without using bits in the interface ID space? What is the term that is used for the area of a network that is affected when a device or network service experiences problems? Which characteristic would most influence a network design engineer to select a multilayer switch over a Layer 2 switch? What is a function of OSPF hello packets?